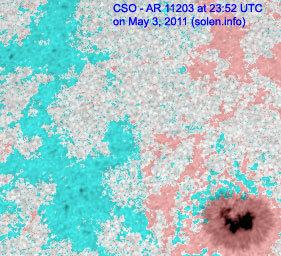 Last major update issued on May 4, 2011 at 04:50 UTC. 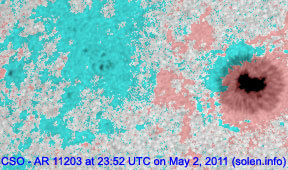 The geomagnetic field was quiet to active on May 3. 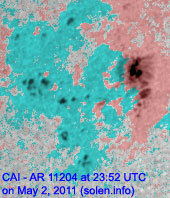 Solar wind speed ranged between 555 and 669 km/s under the diminishing influence of a high speed stream from CH446. 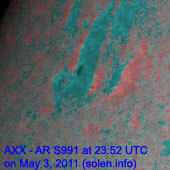 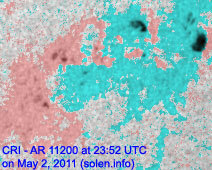 Solar flux measured at 20h UTC on 2.8 GHz was 107.0 (decreasing 10.1 over the last solar rotation). 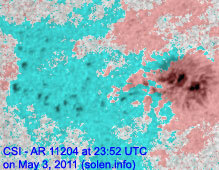 The planetary A index was 13 (STAR Ap - based on the mean of three hour interval ap indices: 12.6). 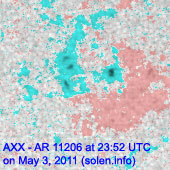 Three hour interval K indices: 44222322 (planetary), 43232332 (Boulder). 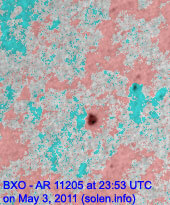 Region 11200 decayed slowly and quietly. 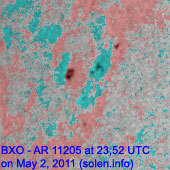 Region 11205 decayed slowly and quietly. 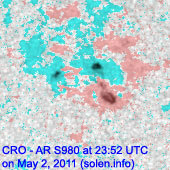 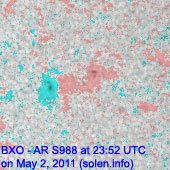 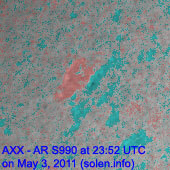 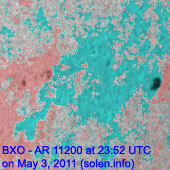 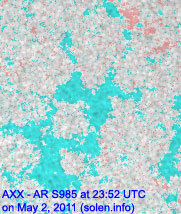 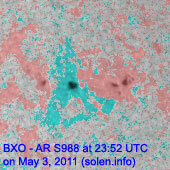 New region 11206 was first observed with spots on April 29 and numbered by NOAA/SWPC on May 3. 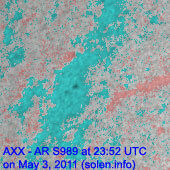 Slow decay was observed on May 3. 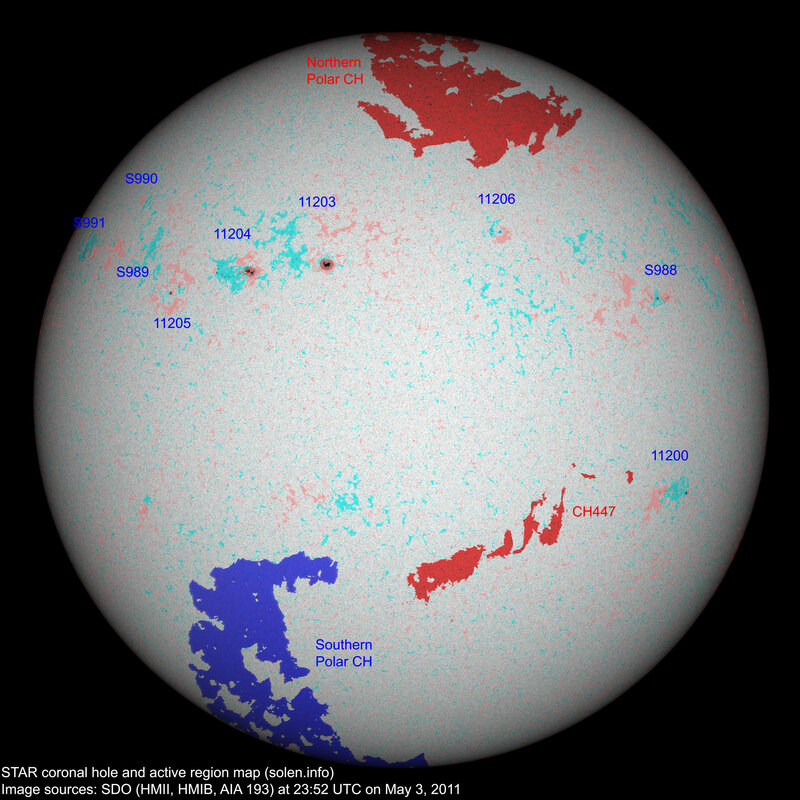 The geomagnetic field is expected to be mostly quiet on May 4-6. 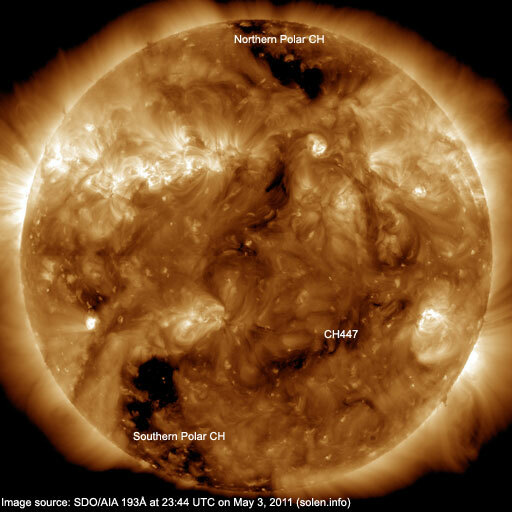 There is a possibility of unsettled intervals on May 5-6 if a coronal hole stream associatred with CH447 arrives.